When my daughter was little she and I used to sing a little lullaby every night. The overhead light would be out, the unicorn nightlight would be glowing, and for those few precious moments she and I would sing the comforting rhyming lines. There is nothing quite like sharing poetry (sung or spoken) with a child last thing at night, and today I have a book for you that is packed with poems that are perfect for bedtime. Throughout this wonderful volume, beautiful artwork accompanies the poems and makes this book a work of art that would make a wonderful gift for a family who has a new baby to love care for. Like many children I got to experience nursery rhymes when I was little, often when I was sitting in someones lap. I was lucky because I was bilingual, and so I was given the gift of rhymes that were written in English and in French. In English many of the rhymes were from Mother Goose collections. The French books contained French nursery rhymes that many English speakers do not normally get to read. What I love about today's poetry book is that the editor has brought together nursery rhymes from all over the world. She thus allows us to experience rhymes that we have probably never heard before. Christmas is less than a week away, and people all over the world are putting up and decorating their Christmas trees. There is something magical about seeing a tree, decorated with tinsel and ornaments, its lights shining in the darkness. Today's picture book is about a Christmas tree that ends up lightning up Christmas for those who need the light the most. Years ago a grove of Christmas trees was planted. One of the little fir trees was blown sideways into its neighbor by the wind and did not grow properly. When the trees were harvested the little fir tree, which was “stunted” and “tangled with its neighbor” was taken to the big city. The other trees were bought and placed in a cathedral, in the middle of a square, on the stage “at a grand Christmas ball,” and in private homes where children and their families decorated them for the festive season. The little fir tree and its bigger partner ended up in a store. On Christmas Eve the big tree was bought and taken away and the little fir tree was now all alone. A poor boy came into the shop to warm up and he asked a store clerk, who was about to throw away the little tree, if he could have it. The clerk “handed it over,” and some time later the boy, with the tree ‘planted’ in a cardboard box full of beach mud, was sitting under the arch of a railway bridge, in the large cardboard box that served as his home. With a coin that a passerby dropped in his hat the boy bought some candles and matches and he decorated the little tree with the candles, creating a little pool of Christmas spirit in a rather bleak place. The boy was joined by other homeless people and a tree performer and soon they were all sharing Christmas songs, which drew more and more people to the little tree. Though the tree’s surroundings were very humble, it felt as if it would “burst with happiness” because for a while the hard circumstances of the boy’s life did not matter. For a while the tree gave the boy and many other people joy. In this beautiful picture book readers will find a story that is sure to become a firm favorite with readers of all ages. This is the kind of book that families will keep on their shelf and bring out every holiday season to share and enjoy. When I first saw this book on a shelf in the library I thought it was going to be about a dog, which is a natural assumption to make I think. A dog does play a role in the narrative, but the story is really about a boy's relationship with (and discovery of) poetry. It is a fabulous book, a powerful book, a sometimes funny book, and I think readers of all ages will appreciate it. Jack is in Miss Stretchberry’s class and he is not happy because she is expecting her students to write a poem. Everyone knows that girls write poems. It is a girly kind of thing to do. After claiming that his “Brain’s empty,” Jack finally condescends to write a poem about a blue car speeding down a road. He is rather put out when his teacher comments on how something is missing in his poem. If Robert Frost can leave his poems incomplete why can’t he? Miss Stretchberry then asks Jack to write a poem about a pet. Jack does not have a pet anymore and he does not want to write about the dog that he had. We can sense that doing so will be painful for Jack, and yet the boy does end up writing a description of how the yellow dog became a member of his family; how they got him from the animal shelter and saved him from being euthanized, which is what happens to the shelter dogs that are not adopted. Miss Stretchberry asks Jack if she can type up his poem about the yellow dog and share it with the class. He decides that she can if she wants to, though she cannot put her name on the piece. Next Miss Stretchberry introduces Jack and his classmates to concrete poems and these he likes a lot. In fact he even tries to create one called My Yellow Dog, and he arranges the words so that they look like a picture of dog on the page. Miss Stretchberry asks if she can type up his poem again and this time Jack is willing to let her put his name on it, which is a new development. Inspired by a poem that he loves that was written by Walter Dean Myers, Jack writes another poem about his dog Sky, and in it he captures the joy the dog brings into his life. It is a poem from the heart and Jack cannot help feeling pleased when his teacher shares it with the class again. When Miss Stretchberry suggests that Jack should write to Walter Dean Myers, Jack is appalled. Why would a famous writer like hearing from a kid? Surely he would prefer to hear from a teacher “who uses big words / and knows how / to spell / and / to type.” In the end Jack writes the letter, with many apologies to Walter Dean Myers for taking up his time. Jack even invites the writer to come to his school. As he waits to hear from Walter Dean Myers, Jack’s journey into the world of poetry progresses. He starts learning how to type and finally he writes (and then types up) a poem about what happened to Sky, though he is not sure about putting his name on it. This remarkable book takes us through a school year with a boy called Jack. As the months go by we see how this boy, who wants nothing to do with poetry at first, starts to appreciate the way words in poems can capture moments and feelings in a fresh and different way. Slowly, like a flower opening, he tries writing his own poems. By the time we leave Jack, with his memories of Sky, he is a very different child, and we, as witnesses to his journey of exploration, can celebrate the changes that have taken place in him. This is the time of year when children all over the world hold their wishes close, hoping that Santa, Father Christmas, or St. Nicholas will be able to read the wishes in their hearts and make them a reality. In today's picture book you will meet a little boy who wants more than anything to find a wish tree, which he is convinced is a real thing. Rather than waiting for someone to find such a tree for him, the little boy sets out to find the wish tree himself, and in the process he makes a lot of wishes come true for others. One day Charles decides that he wants to find a wish tree. His older sister and brother say that “There is no such thing” as a wish tree, but Charles, and his friend Boggan, are convinced otherwise and so the next morning the boy and his toboggan set off. Together the friends climb a hill and sledded down to a “frost meadow” on the other side. Though they do not find a wish tree they do find a squirrel who needs help getting his haul of hazelnuts back to his home in a tree. Boggan and Charles are happy to help out. Later the friends help a beaver get a load of birch wood back to his lodge, and help a fox get some berries back to her burrow. Again and again Charles and Boggan assist the woodland animals who need help getting food and other materials back to their homes. The day begins to wind down and poor Charles and Boggan are no closer to finding a wish tree. They have seen so much during the day, except the one thing that they are looking for. Charles is so tired that he decides that he cannot search any longer. In fact he falls asleep on Boggan, which is when something magical happens. 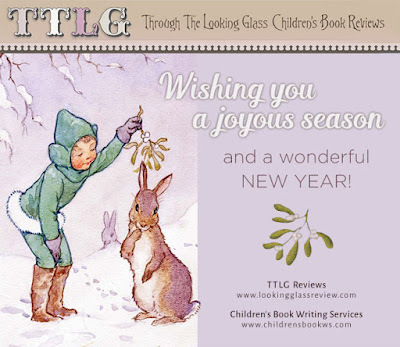 This wonderful wintery picture book will appeal to readers of all ages and backgrounds. Though it is certainly about a little boy’s quest, it is also about friendships that bloom during that quest. With delight we see how gifts are returned to someone who gives of himself so easily and freely. I usually offer up a preamble before I jump into my reviews, but today's poetry title needs no introduction because Shel Silverstein needs no introduction. What is special about this particular edition is that it contains twelve new poems! Poets have been writing nonsense and funny poems for children for many years, and have given their readers amusing characters and wonderful stories in verse to read over and over. A.A. Milne, Edward Lear, and many others have delighted young readers with their comical writings, but it has to be said that one of the most famous and well-loved humorous poets is Shel Silverstein. He left behind him a wonderful collection of poems for young readers, poems that children and their grownups have been enjoying ever since they came out in print. Then there are poems that capture moments in a child’s life that are very familiar. In Diving Board we meet a boy who has made sure that the diving board is “nice and straight” and that is can “stand the weight.” He has verified that it “bounces right,” and that his toes “can get a grip.” The only thing left to do is to dive, but we cannot help thinking that perhaps that is the one thing he won’t do. Writer Waiting captures another familiar situation to perfection. A child sits in front of a computer, a wonderful device that can do so many things that a writer does not need a “writing tutor.” The computer can spell and punctuate, “edit and select,” “copy and correct.” The one thing that it cannot do is figure out what you should write about. The cartoon style illustrations that accompany the poems in this book often add a great deal to the writing, and in some cases they provide a visual punchline that readers will thoroughly enjoy. This wonderful special edition volume includes twelve poems that were not included in the original 1996 copy of this title. The author’s family very kindly agreed to share these poems and their accompanying drawings with readers, and what a gift they have given us. This morning I woke up to find that it had snowed in the night. The trees and shrubs in our garden, and the grape vines in the vineyard looked as if they had been tucked up under a cozy, fluffy eiderdown. I was grateful that I had managed to get everything ready for the colder months in time, though the baby olive trees in their pots still need to be put under cover so that they don't freeze. Getting a farm ready for the winter is not an easy task, and in today's picture book you will get to spend some time with a family who spend many busy days putting their farm to bed for the cold season. Anyone who has watched a young child listening to someone reading a nursery rhyme to them knows that young children have a natural appreciation for rhymes and verse. Their minds are open to the wonderful possibilities that are inherent in poetry. Today's poetry title was written especially for young children, and it offers them the gift of humor and wonderful language. Poetry can enrich the lives of readers of all ages, but all too often older children and adults are reluctant to explore the world of poetry because they think that poetry is not for them. Thankfully, young children are more open to receiving the gift of poetry. Indeed, they often embrace the world of poems and have a natural affinity for them. As they explore this book children will encounter some poems that provide them with information. They learn what to do if they meet a witch, and what monsters like to eat. For example at breakfast time monsters munch on “Tadpole toasties” and “Dreaded wheat,” and for dinner they have “moldy greens” and “Human beans.” Knowing such important facts about monsters is vital for one’s education after all. There are also story poems of all kinds that will surely amuse little children and their grownups. Who can resist a story about how snowmen used to be “In the good old days / When snow was snow,” and the one about a soccer match that took place between two teams of animals, with elephants on one side and insects on the other. One can only imagine how such a game would turn out. This is a wonderful book to share with young children. It not only introduces children to the magic of poetry, but it gives adults the opportunity to share some precious, bookish, time with the child or children in their lives. Children often feel very overwhelmed when they see all the problems in their world. Stories about wars, environmental disasters, famines, political conflicts, and social upheavals fill newspapers, news broadcasts, and social media. There is so much wrong out there that they often think that there is nothing that they can do that will have an impact on so much chaos. The truth of the matter is that every little effort that makes the world safer, kinder, and cleaner is a step in the right direction. Today's picture book shows how some children bring about change for the better in their own little world, and that change, though its impact is not global, is still vital and precious. One cold winter day Matt is out walking when he comes to a place that he and his friends call “the Pit.” It is usually just an open space in the woods that is full of trash, but on this day he sees that a stream of water is bubbling its way out of the ground. Matt looks around and realizes that this neglected place was once a pond and he makes a decision. He is going to bring the pond back. Matt tells his sister Katie and his best friend Pablo about his discovery, and asks them if they are willing to help him clean the place up. Both agree and the very next weekend the three young people get to work. They pick up all the junk and trash and, with Pablo’s father’s help, take it all to the dump. Then they move rocks to create a dam. As the days go by and winter softens into spring, the pond starts to fill up. In the summer the children spend time by the water until they are driven off my biting insects and summer storms. Then Matt’s dad decides to help the children work on an old row boat so that it is seaworthy once again. Together they work at patching holes, sanding rough wood, and nailing down boards. The boat is named Dragonfly, and when the children take it out on the water it floats. As the months go by the pond offers Matt and his friends and family members all kinds of seasonal joys, and it also gives animals a place to call home. This wonderful book takes us through the seasons with a boy who, thanks to his imagination and hard work, is able to bring back a gift of nature that was lost. A neighborhood pond might seem like a small thing, but the special moments it gives Matt and his friends are precious. As they watch the pond grow and flourish, the children in the story grow to appreciate that sometimes the little things can become big things. Children who think that they are too small or too young to make a difference in the world will surely be empowered by this tale. They will see that they, like Matt, can bring about change for the better if they really want to. Learning to be unselfish is one of life's hardest lessons. For most of us remembering to think of others before ourselves is a daily battle, one that we sometimes lose. We know what we are supposed to do. We know that we are supposed to share with others and sometimes give up things we want for their sake, but doing so is just so hard. In this wonderful picture book we see what happens when a pair of friends find something that they both want. How will they resolve a tricky situation? Will they put friendship first? The two turtles walk to a nearby rock and settle down to watch the sunset. One of the turtles says that he is thinking about the sunset, the other says that he is thinking about nothing but we know that he is thinking about the hat, and looking back to where it lies on the ground. The pull of the hat is strong and the turtle is having a hard time staying true to his friend. Life is full of difficult choices and often the most hard-to-make ones are those that require that we make a sacrifice. In this wonderful picture book we meet a turtle who really wants something and he is forced to consider if the hat is worth more than the relationship that he shares with his best friend. Thankfully there is someone around who sets an example for him that helps him understand what true friendship is worth. I live on a ten acre farm on a hillside, and we get lots of bird visitors. Owls live in one of our outbuildings, and swallows spend the summer in our barn. We have seen bald eagles sitting in our trees, and red-tailed hawks often swoop over the house calling out to each other. I cannot help being charmed by the birds that I see and so I really enjoyed today's poetry book, and I hope many of you will enjoy reading it too. Animals have inspired musicians, artists, prose writers, and poets for centuries. T.S Elliot, who loved cats, was drawn to creating poems about felines. Others have captured the majesty of a tiger, the gravitas of elephants, and the watchful nature of rabbits. Birds, perhaps more than any other animal - other than cats and dogs - have attracted the attention of poets. Perhaps this is because birds are found everywhere, in all kinds of environments. They are also often beautiful and come in so many shapes, colors, and sizes. In this excellent poetry title we encounter a wonderful collection of birds from tiny gem like hummingbirds that are “Always / in a / tizzy” going back and forth and zooming to and fro busily, to the giant Andean Condor that could, if we are not careful “disappear,” taking with it the memories of ancient times that we humans are losing. Some of the birds we meet on the pages will be familiar. We see them in parks, on windowsills, and in gardens. These include sparrows, blue jays, cardinals, crows, and owls. Others are like the exotic Caribbean Flamingo who’s bright pink plumage seems to set the sky “alight” when they take to the air. This would be a wonderful book to share with children who have an interest in birds. Throughout the book the combination of wonderful poems and lush paintings gives children a special bird-filled experience. Picture Book Monday with a review of Du Iz Tak? Many people are convinced that the best stories are ones that are packed with a huge cast of characters, a constantly changing backdrop, a busy back story, and a great deal of drama. To be sure such stories are gratifying and engaging, but smaller, quieter tales can be incredibly rich and rewarding as well. Today's picture book story is just such a tale. The characters are insects, the setting never changes, and the events that unfold are not packed with grandiose spectacles. Instead, we are given a gem of a story that takes us into a small world where powerful and meaningful things happen on a small scale. One day two elegant insects see that a green plant is growing out of the ground and they wonder what it is. A while later three young beetles turn up and the green thing has grown. They too would like to know what the plant is. The beetles climb to the first layer of leaves and they want to go higher to the second set but they cannot reach. They decide to go and ask Icky the caterpillar if they can borrow a ladder. The kindly fellow goes and gets his very long ladder and he props it up against the plant. With the ladder in place, the three beetles can now climb as high as they like, and when they get up into the higher branches of the plant– which is quite a way up now because the plant is still growing - they decide to build a tree house. Actually they build three tree houses at different levels, and life is wonderful. Then a huge spider builds a web around the houses and the plant, and the beetles can do nothing about the invader who has taken over their home. In this wonderful picture book, several backyard stories featuring insect characters unfold before our eyes. The insects speak their own language, which is not surprising when you think about it, but luckily we can figure out much of what they are saying and we have no trouble understanding what is going on. What is delightful about this story is that though the main characters are insects, and though the setting in the book is the same one throughout the tale, the story we witness is rich, charming, and satisfying. One of the wonderful things about reading books that were written at different moments in time is they tend to reflect the culture and conventions of the era in which they were written. Stories and poems can give us a glimpse into the past and help us to get a picture of what life was like then. In today's poetry title readers will find poems that were written long ago and not so long ago, and in each one the poet describes an object of some kind. Children and adults alike are going to enjoy exploring this book. For almost as long as humans have been writing, humans have been creating poetry. Throughout history men and women all over the world have been using poetry as a means to tell a story, describe something, capture a moment in time, or expound on an idea or feeling that interests them. Like music, art, and prose writing, poetry has evolved over the ages and when we look at poems from different eras we can see the trends, conventions, and fashions that were popular at that time. In this very unique poetry collection Paul Janeczko explores how poets, over the ages, have described objects in their writings. The poems capture the flavor of the times in which they were written, thus making it possible for readers to get a sense of how styles and ways of expression changed over time. We begin in the early Middle Ages with a poem about a bookworm. The poem describes how a moth ate a word. The poet feels that it is curious that such an insect could “swallow the word of a man.” Like a “thief in the dark” it takes something profound and is not “A whit the wiser” afterwards. In the romantic period we find poems by Lord Byron, William Wordsworth, Lord Tennyson, and Henry Wadsworth Longfellow. Here there are poems about the letter E, a mouse’s nest, an eagle, and snow-flakes. The Victorian era brings us poems by Edgar Allen Poe, Walt Whitman and Emily Dickenson, among others. We can see how these writings were influenced by the creations of earlier centuries and then we can see how the writers of the modern period (from 1900 to 1945) took a very different path. Poets tried new forms and experimented with words. This experimentation, and the innovative path that went with it, has continued to the present day. What is interesting about this book is that it can be enjoyed on many levels. Readers can simply enjoy the poems, dipping into the book at random, or they can explore the historical aspect of the collection. An introduction at the beginning of the book provides readers with further information about the time periods that are mentioned in the text. Like it or not, we all are, on occasion, prone to being a little self-centered. When the world does not give us what we want we whine and wail about how terrible our life is and how the system is out to get us. In today's book you will meet a penguin who is convinced that every aspect of his life is a disaster, a nightmare. And then someone comes along who helps him gain a little perspective. This is a deliciously funny book, and it is also one that gives is a gentle, thoughtful reminder that we should take the time to look around so that we see what we are perhaps missing. One morning Penguin wakes up “way too early” and immediately he starts to complain. His beak is cold, the other penguins are making too much noise, and it snowed again the night before and he does not really like snow. Or the sun, which is too bright. Feeling hungry, Penguin heads to the ocean. He finds the water too salty and he does not think he floats enough. In short he sinks “like a dumb rock.” When he dives under water to look for fish he encounters a hungry orca, and a hungry seal, and a hungry shark. Though he is still hungry himself, Penguin gets out of the water because his flippers are tired from all the hard swimming he has had to do to avoid being eaten. It is hard work swimming when you are a penguin. It’s also hard work walking, or rather waddling, on land. If only Penguin could fly, but he can’t. If only Penguin could figure out which of the many penguins around him is his mother or father but he can’t because all the penguins look alike. If only…. Then a walrus comes over to a now thoroughly upset Penguin and offers him a few sage words of advice. It is all too easy to get disgruntled about one’s life, to spend one’s days complaining about all the things that are not perfect, and to feel much put upon by one’s circumstances. However, behaving in this manner does not really make anything better. In fact, griping and grumbling more often than not just makes us feel worse. In this clever picture book we meet a very disgruntled penguin who is so busy being upset with his lot in life that he forgets to notice that there are many wonderful things around him, things that should be giving him joy. If only he would bother to notice them. After months of media coverage and a great deal of discord, the lead up to Election Day is finally almost over. The end is almost in sight. I thought that I would offer my readers a little light relief on this poetry Friday. Today's poetry book looks at the lives of all the men who have been the president of the United States, from George Washington to Barack Obama.Using short and always amusing poems, the author makes fun of the Commanders in Chief in a creative way that readers of all ages will appreciate. For many of us, talking to people we do not know is a very hard thing to do. Even when we really want to make friends, taking that step to connect with someone new seems almost insurmountable, especially if it takes us out of comfort zone and forces us to go somewhere that we are not familiar with. Today's picture book beautifully captures the journey that a character takes when he has to leave the place he knows, to seek out something that he desperately needs. Shy is happiest when he is “between the pages of a book,” when he can go to “a land far away” and experience “once upon a time.” Shy particularly loves books about birds, where he happily reads about their beauty and their songs. The sad thing is that Shy has never heard real bird song because the birds in books cannot sing. And then the bird is gone. The bird is gone again and Shy is alone once more. Many of us find it very hard to venture away from the places that make us feel safe, the places that we are used to. If we are lucky, something comes along that pulls us out of our safe areas, and we enter a world full of marvels and possibilities, the most precious of these being friendships and connections with others. This remarkable picture book explores the journey a very shy character makes when something from the outside world touches him so such a degree that he has to follow; he has to leave the safety of his book for the sake of something wonderful. Poetry Friday with a review of Make Magic! Do Good! Writing, both prose and poetry, comes in so many forms. Sometimes we read stories or poems that entertain us, or we choose tales that allow us to escape into another world for a while. At other times we want to engage with a piece of writing in a book that encourages us to think and consider. Today's poetry title is just such a book. Each poem offers up an idea that explores a powerful concept, and that inspires us to think about important and meaningful life messages. Writers create their stories and poems for a number of reasons. For some they have a narrative in their head that they just have to get down on paper. Others see or experience something that they feel the need to describe. Sometimes writers create because they want to make their readers laugh or because they want to teach them about something. Then there are the writers who want to convey a message that they feel their readers need to hear. This poetry book fits into the latter category. Dallas Clayton is a person who understands that we all need, at times, to be gently reminded of the things that really matter. For example, did you ever realize that it takes the same amount of effort to think about good things as it does to think about things that are bad? Which means that it takes the same amount of energy to make people sad or to make them happy. So do you want to be the kind of person who covers the walls of a building with angry thoughts about “who’s to blame,” or do you want to create and give away pictures that will make people happy instead. In her poem Try! the author exhorts us to do all kinds of things like “ride in a helicopter,” “tame a whale,” or “race / up to outer space.” It is possible that we might fail in our attempts, but we should try anyway. This carefully created poetry collection offers readers a great deal to think about. Sometimes a poem needs to be read a few times to capture the full meaning therein, but as the words sink in and thoughts coalesce, readers will come to appreciate what the author is saying, and her words will stick with them as they go about their day. So many of the world's problems arise because we think everyone thinks and sees things the way we do. We dare to think that they if they don't see things our way, then they are in the wrong. We forget that who we are - our life experiences and our background - hugely affect our perceptions. This amazing picture book shows us how different characters all see the same thing in very different ways. Their viewpoints are startling, visually, and give us cause to pause. As we look at the artwork we are gently reminded to think about how we perceive our world. Poetry Friday with a review of Animal School: What Class are You? I have been reviewing books since the early 2000's and over the years I have noticed changes taking place in the children's book world. These changes include the rise of ebooks, the growth of the graphic novel world, and the advancement of what I call nonfiction poetry. These days poets are using their writings to both entertain and educate their readers, teaching them about history, science, geography and other subjects through their poems. Today's poetry book is just such a nonfiction poetry title. It helps young readers to get to know the animal family that we humans belong to. We humans belong to a group of animals called vertebrates. All the animals in this group have spines, and they are divided up into what are called “classes.” The classes that belong in the vertebrates group are mammals, fish, reptiles, amphibians, and birds. Some fly and some swim, some have fur, while others have skin, scales, or feathers. The number of vertebrate species that live on earth is enormous, and they are very diverse, but they are all nevertheless connected because they have a string of bones running down their back. The next class the author explores in the one we humans belong to; the mammals. Unlike reptiles, fish, and amphibians, mammals are warm-blooded and they always give birth to live young. Most of them get about on legs and they have “stick-out ears,” which none of the other vertebrates have. The imagination is a powerful thing. Indeed, if people did not have an imagination many books, pieces of music, and art would never be created. Today's picture book celebrates the imagination in a unique and exciting way. Readers of all ages may find themsleves wishing that they too could create a city, through their imagination, that is like the one that they visit in this title. Imagine if you can what it would be like to get on a train, a train that is going to take you to the city so that you have a special outing. It is an ordinary train that stops at an ordinary train platform. You get on board and off you go. It is not long before a waiter comes around and serves you a luscious tea. You sit on the comfortable seats sipping hot tea and eating delicious little cakes and treats. Perhaps you notice that one of the passengers in the car has rather long ears, and paws instead of hands. Or perhaps you don’t. When you get to the city ordinariness disappears. Here humans and animals live side by side, and there are many strange and wondrous things going on. The pictures in a gallery that you visit refuse to be contained by their frames. Here the buses are fish instead of machines and they swim through the sky above the streets. Here the stories in books, like the pictures at the gallery, will not lie down quietly on the paper. Instead they hop off the pages and sometimes you get quite a shock! When you stop for a bite in a little restaurant you find that the tables and chairs are little trees. In addition to the now no longer unusual assortment of animals, there are gargoyles partaking of drinks and snacks. It is important to remember that when you can imagine a city there is no accounting for what might happen. This celebration of the imagination will delight readers of all ages, many of whom will wish that they could jump into the pages and visit the land that lies therein. Every September I look forward to fall. I am eager for cooler days, rain (after weeks and weeks of dry weather), and the treats that the fall season brings. Apples, pears and pumpkins start to appear in the farmer's market, and I start thinking about making apple and pumpkin breads and coffee cakes. It is a time of change and new beginnings for me. Today's poetry title tells the story of a young girl whose uncle has suffered a great loss, and who comes to visit her and her family as the apples are starting to fall from the tree in their yard. For him this is a time for reflection, and though he does not know it at first, it is also a time for new bittersweet beginnings. Faith has been waiting for this day, the day when the first apple falls from the apple tree that Aunt Lucy planted all those years ago. Over the years Uncle Arthur and Aunt Lucy would always arrive at Faith’s house on this day. Somehow they always knew when the first apple fell. Then Aunt Lucy died and Faith’s parents and brother believe that maybe Uncle Arthur will not come this year. Little Faith does not lose hope though. She waits for Uncle Arthur. At his home Uncle Arthur thinks about his beloved Lucy and remembers how his wife always knew when the first apple had fallen, when it was time to gather with the family to pick apples and make applesauce. He does not know if he can bear to go without her, or if the family is even expecting him. Faith’s big brother Peter thinks Faith is being silly. She should give up waiting and accept that Uncle Arthur is not coming. Then, to everyone’s surprise, Faith’s faith in Uncle Arthur is rewarded, and in the evening of that day the old man arrives. Every year Faith asks Uncle Arthur what happened to his missing finger - he only has four and half fingers on his right hand – and every year he tells her another story (a tall story) of what happened to his finger. This year he seems reluctant to tell the stories so beloved by everyone in the family. This year he is quieter. He is wrapped up in the memories of the times he shared with the girl and woman who became his wife. He remembers how he and Lucy, who were neighbors, became friends, and how their friendship grew into love when they were teenagers. He looks at the house where she used to live and remembers how he used to wait at night to see a light blinking in her window, which was her message telling him that she loved him. Faith seems to know that Uncle Arthur is feeling lost and so she holds his hand, the one missing half a finger, and she says nothing. Faith wonders if her uncle has no more stories to tell but she does not ask. Instead, she walks down the road with him every day and she tells him that Peter is sweet on the girl who is living in the house that Lucy lived in all those years ago. Once again a boy in her house, Uncle Arthur’s old house, is falling for a girl who lives in the house a few doors down. Uncle Arthur smiles and he starts to tell them a story, a true story about how he got a knife when he was Peter’s age and how he used the knife to carve his initials, and Lucy’s, into the bark of the apple tree. The initials are still there. This wonderful story is told from the points of view of Faith, Peter, and Uncle Arthur. We also hear from Aunt Lucy, who gives us a wonderful picture of what her life with Uncle Arthur had been like. The narrative is presented in the form of rhyming and blank verse poems, and we are taken on a journey that spans decades, and also on a journey that encompasses a few autumn days when the apples are ripening. We see, through the words of Faith, Peter and Uncle Arthur, how healing after a loss can begin and how there is much joy to be found in stories. Sometimes these stories help us to connect with the people who are no longer with this, making it possible for us to stay linked to them. When I was a child I struggled to understand mathematics. Numbers became my worst enemy and it did not help that I was often ridiculed by my peers when I made mistakes. I even had a teacher who made fun of my struggles, which was terrible. If only I had had the kind of help the little girl in today's book gets when she is trying to learn how to read. Kind, non-judgmental support goes a long way when it comes to learning how to do something that is difficult. Madeline Finn does not like to read. At all. Anything with words, including the menu of the ice cream truck, is to be avoided. Reading out loud is the worst because then people can hear how she sometimes struggles to make sense of the words, and on occasion they “giggle” when they hear her mistakes. No matter how hard she tries, Madeline Finn’s teacher never gives her a star sticker. Instead, she gets a heart-shaped “Keep Trying” sticker, which is so frustrating. Madeline Finn wishes very hard that she will get a star of her own, but day after day her reading efforts just aren’t good enough. On Saturday Madeline Finn and her mother go to the library. Madeline Finn reminds the librarian that she does not like to read, which is when the librarian, Mrs. Dimple, shows her a surprise. The children’s reading area is full of dogs. Real live dogs, and apparently they are there to be read to. Mrs. Dimple introduces Madeline Finn to Bonnie, a beautiful, big, white dog who is apparently a “great listener,” and in spite of herself Madeline Finn decides that she would like to try reading to the dog. She never imagines that Bonnie is going to be more than a good listener. This wonderful, heartwarming picture book explores one little girl’s reading journey. It is a journey that is full of struggles, frustration, and heartache, but it turns out that a patient and accepting dog is just want the little girl needs. With an authentic first person narrative and wonderful illustrations, Lisa Papp tells a story that will resonate with everyone who has struggled to learn how to do something new. Over the years I have encountered several poetry collections where poets have take other people's writings and have changed them in little ways to make them accessible for young readers. Often the changes add touches of humor to the poems. In today's poetry title, Iza Trapani does this to great effect, taking young readers into the school life of a little dog character. Presiding over the classroom is a “neat little clock” which “points to the time / With its two little hands.” The clock always has a clean face and those hands are always ready “To do what is right.” One can hope that the children in the class will have similarly clean faces and ready hands, but sometimes things do not go “as we planned” and the students, despite all their good intentions, end up with paint and glue in unexpected places. After several hours of laboring away, the children have lunch, which is most unappetizing, and then they go outside to play. The children jump rope, throw a ball around, or play on the swings and slide, but Joan, who loves “books a lot” finds a spot under a tree to read a book. With a book in hand Joan never feels alone. In Mrs. Alegro’s music class the children have a grand time playing musical instruments of all kinds. Tom-Tom is a wonderful flute player and he tootles away to the delight of his classmates. Later, in the library, the children are not as well behaved as they should be. They talk, wriggle, and giggle. They are rambunctious and the librarian is not at all happy. In this splendid poetry picture book Iza Trapani presents children with some traditional poems which she has “extended” in creative ways. Taking us through the school day, she gives us familiar poems such as One, Two, Buckle My Shoe, and songs such as The Ants go Marching. There are also poems that children may not be familiar with, but which offer readers wonderful opportunities to enjoy the written and spoken word. For many young people today a book is digital file on a tablet. Print books just aren't a part of their lives. I read books in both formats but I generally prefer a printed book. There is something about how a book feels, how it looks sitting on a shelf, and even how it smells that I love. I have books in almost every room in my home, and book cover images appear in frames on my walls. In today's picture book you will meet a character who has no idea what a print book is. He is puzzled by the book that his friend is reading because it cannot be twitched on, it doesn't noises, nor can you play games on it. What is the point of a book he wonders. What indeed! One day Jackass comes over to where Monkey is reading. Jackass asks Monkey what he has in his hands. Monkey explains that it is a book. Jackass is not sure what a book does so he asks Monkey a lot of questions about the strange object that he is holding. Jackass wants to know if you can scroll down with a book or blog with it. Does it have a mouse? Can it make characters fight? Does it tweet or use wi-fi- or make noise like Jackass’s laptop? It turns out that a book cannot do any of these things. Monkey shows Jackass that the book he is reading has a story in it about pirates. In Jackass’s opinion there are too many words. As he takes the book and goes to sit down, Jackass learns that the book does not even have a screen name, nor do you need a password to read it. How bizarre! This wonderful book shows young readers all the things that a book isn’t. Then, in a sneaky and completely silent way, it shows us the wonderful magic that can be found in an object that does not need a power cable, upgrades, or a mouse pad. With a minimal text, delightful characters, and touches of humor, Lane Smith gives readers a fantastic reading experience. 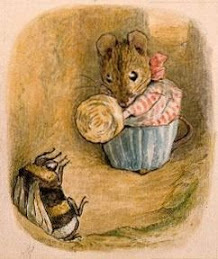 Animal characters play important roles in many children's books, allowing authors to connect with their young readers on many levels. Children begin with Babar the elephant in picture books and work their way up to to the gripping animal-rich adventures in the Redwall novels. Poets also love to write about animals, and in today's poetry title animals of all kinds can be found on the pages to offer children a wonderful poetry-filled book experience. Children love poems about animals, especially ones that are about creatures that a big and scary. Over the years poets have chosen to write poems about animals of all kinds, including those that we love to be afraid of. In this collection Joohee Yoon has brought together some of these poems and paired them with her colorful print illustrations. The mood is lightened in the poem that follows, where we meet a happy hyena. This animal can play the concertina and is very particular about his appearance. A master of sartorial elegance, the hyena even has a flower stuck into his lapel. A few pages later we encounter someone who is trying to tell us about an elephant who “tried to use the telephone.” It turns out that a trunk is not the best of appendages to use when one is trying to make a telephone call. It also turns out that the narrator of this poem cannot help getting his or her words frightfully, and hilariously, mixed up. For children who fancy having an unusual animal for a pet there is the poem The Yak. In it we hear about how a yak is a perfect pet for young people. After all it “will carry and fetch, you can ride on its back, / Or lead it about with a string.” The Tartars who live in Tibet have been keeping yaks as nursery pets for centuries, so if they can do it why can’t you? Animal loving children are sure to love this clever collection of poems. On the pages they will find verses that are often humorous, that offer up wonderful descriptions, and that sometimes give readers cause to pause. Not long ago we brought a new kitten into the household. Our two dogs were thrilled to bits to have a new playmate, but the two cats were appalled and disgusted. They behaved as if a fate worse than death had been placed upon them, and were rude and anti-social for days. Thankfully, the kitten's charms have started to wear down the older cats' standoffish behavior. There is only so much you can do when a little furry person snuggles up against you. In today's picture book you will see what happens when a large and indulged cat called Fuddles gets a new housemate who is.....prepare yourself.....a puppy! Fuddles is a fat, lazy, and utterly content cat. His people spoil him rotten and that is exactly how things should be. According to Fuddles. Then one day Fuddles wakes up from a nap, he goes into the kitchen, and he sees that there is a puddle on the floor. Worse still there is a little dog that goes with the puddle. A dog that barks and drools, and makes puddles. Fuddles is “disgusted” and he wants nothing to do with the dog. Unfortunately, Puddles does not seem to understand how much Fuddles dislikes him. The little dog follows Fuddles everywhere, even to the litterbox. Fuddles hardly gets a break from the little pest and one day, when Fuddles catches Puddles eating his food, the cat loses his temper. He has had enough, and so he yowls and is so frightening that the dog runs away and he stays away. Fuddles is “delighted.” He has got rid of the dog pest and now life can settle down and go back to the way it was. All is well until Fuddles gets himself into a dreadful situation; a situation that means that he needs help and he needs it quickly. Many of us hate it when change comes into our lives, especially when that change brings inconveniences and perhaps a little chaos with it. What we often don’t realize is that change can actually be a good thing; it can bring unexpected gifts with it that we did not even know about. With wonderful touches of humor and an appreciation for human (and cat) nature, Frans Vischer brings us a third Fuddles story that will delight readers of all ages. Many adults and children in the Unites States can remember where they were on September 11, 2001, when terrorists attacked targets in the United States using commercial airplanes. What we sometimes don't realize is that the ripple effects of the tragedy spread far from our shores to people all over the world, many of whom were profoundly effected by what happened. Today's title is a novel in blank verse that takes us to Japan where a young girl, a half Japanese and half American girl, is facing a lot of personal problems of her own in the months leading up to the September 11th attacks. The appalling events of that day add to what is already a painful situation, and we see, through her eyes, how violence damages people's ability to hope, and takes away their ability to feel safe.